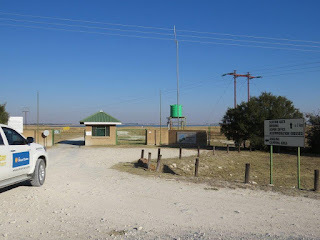 Barberspan Bird Sanctuary is situated right next to the N14 national road, between the towns of Delareyville and Sannieshof in the North-west province. The pan is fed by the Harts River and is situated in open grassland that forms a great undulating plain, much of which is cultivated for summer crops such as maize, sunflowers and groundnuts. It is a large pan, 6 x 4 kilometers covering 3,200 hectares of which up to 2,000 hectares could be under water with a maximum depth of 11m. The pan became a perennial source of water when a local farmer, Mr Basson, dug a channel through the ridge that separated the pan from the nearby Harts River during 1913. Descendants of Mr Basson still farm right next to Barberspan. The reserve is surrounded by hundreds of seasonal pans, most which dry up during winter. The name Barberspan is not after the Afrikaans name for the Barbel catfish which is found abundant in the pan. It was named after Frederick Hugo Barber who hunted in this area during 1875. 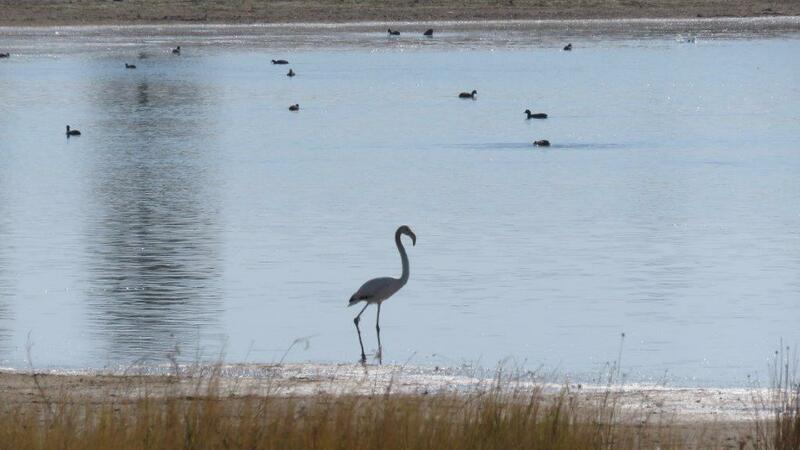 Barberspan Bird Sanctuary is one of the best inland spots in South Africa to see waterbirds. It is also an excellent site to see a wide range of other birds, from raptors and vultures to seedeaters. It is one of Birdlife SA’s Important Birding Areas (IBA SA026). More than 400 bird species have been recorded here. On 12 March 1975 Barberspan, with De Hoop in the Western Cape, became South Africa’s first Ramsar wetland of International Importance. It is the only Ramsar wetland in the North-west province. 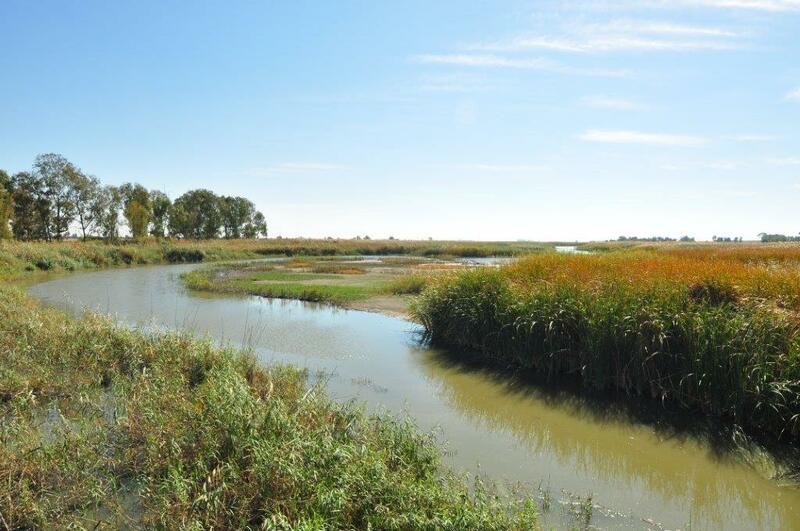 Barberspan is important as a drought refuge for waterfowl and as a stopover site for migrant bird species. It regularly supports in excess of 20,000 individual birds. 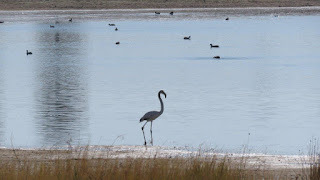 Waterbirds congregate in large numbers during the dry season (April–October) when all the small wetlands in the surrounding districts have dried up completely and the shallow Barberspan is the only suitable habitat remaining in the area. 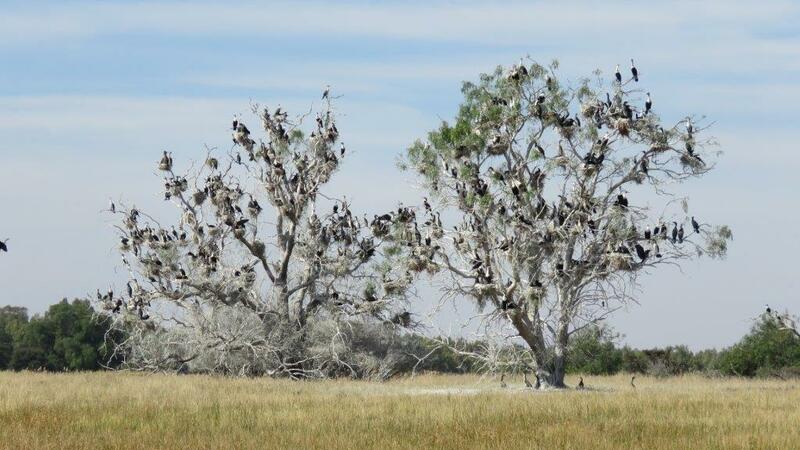 The birds disperse to breed in sheltered temporary pans and wetlands once the summer rains arrive. Breeding species include Chestnut-banded Plover, Caspian Tern, Goliath Herons (more than 30 breeding pairs), Whitebreasted Cormorants, Great Crested Grebe, South African Shelduck, Yellow-billed Duck, Southern Pochard, Spur-winged Goose. Summer visitors include Great White Pelican and Pink-backed Pelican while the nomadic Whiskered Tern occurred sporadically in large numbers. Lesser Flamingo and Greater Flamingo are frequently present, but tend to be most abundant in drought years. There are fixed and mobile bird hides available to watch the scores of birds. Leeupan, situated on a private neighboring farm, gets water as an overflow from Barberspan. Strangely, the water in Leeupan has a much higher salt content and attracts flocks of Lesser and Greater Flamingoes. With an infrastructure of ringing and laboratory facilities plus fulltime experienced rangers, Barberspan attracts researchers from the University of Cape Town, University of Gdansk (Poland), University of Jos (Nigeria). 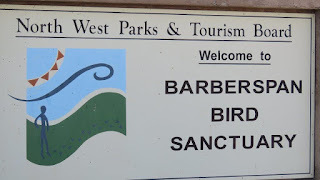 Regular bird ringing takes place here at Barberspan. Unfortunately we could not witness the ringing process during our stay. 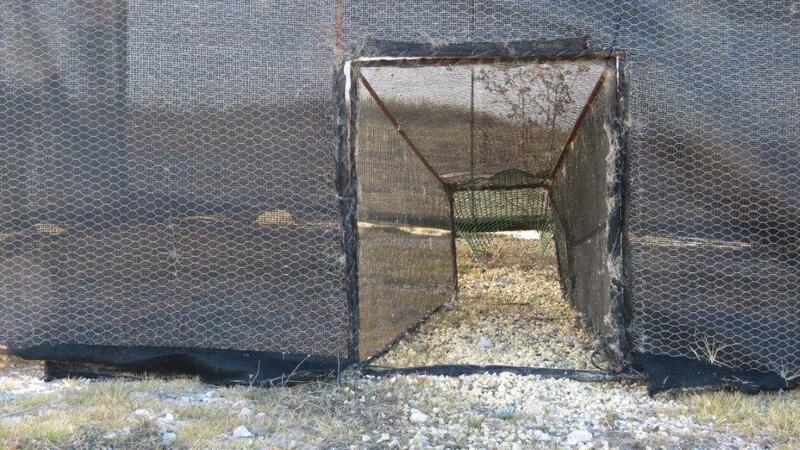 The bird traps were only setup the day before our arrival. 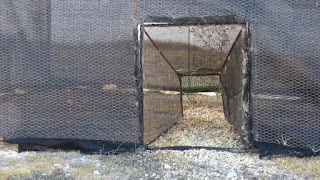 Usually it takes 2 weeks to make the birds used to the traps. Angling clubs from far away use Barberspan for their annual fresh water fishing competitions. Fishing is restricted to a specific area of the pan. No power boats are allowed, only rowing boats. Barbel, Mudfish, Carp and Yellowfish are caught here. The arrangement is that the vulnerable Yellowfish must be released again. Windsurfing and sailing are allowed on the pan. Organized cycling and running events around the pan have recently been introduced. A mountain bike event with a 60km and 80km route called Ommi Pan Challenge, was a huge success during April 2015. An extensive network of good gravel roads inside the reserve and around the pan, makes it possible for visitors to see everything Barberspan can offer. Game such as Black Wildebeest, Zebras and Springbuck can be seen around the pan. A short educational walking trail, the Logadigadi Educational Trail, was started a few years ago as part of a land claim settlement with the local community. The idea was that locals will be trained as guides. The community will then receive part of the income from the trail. Unfortunately the trail is not utilized at the moment because of internal disputes with the local council. Some of the local communities who consider the pan to be a sacred place, use it for spiritual rituals. They enter the water to talk to the big snake and to their ancestors. A private landowner with a guest house owns a piece of land right between the angling competition area and the protected part of the pan. It is like a slice of cake taken out of a round cake. Allthough there is good co-ooperation between the provincial authorities responsible for the management of the pan and these private landowners, it is difficult to control the water activities allowed from the private lodge. Farmers upstream in the Harts River make extensive use of pesticides and the run-off may also impact negatively on Barberspan. Similarly, the waste-water treatment works upstream, at the towns of Sannieshof, Ottosdal and Lichtenburg, pose a risk as sub-standard water sometimes flows into Barberspan, resulting in the high Ecoli levels that have been recorded in recent years. This makes the water inside the pan not fit for human consumption. The birds are not really affected. Eating the fish from the pan is also not a problem due to the low level of affection. 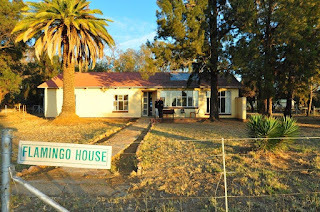 There are 2 self-catering houses that can be rented from the reserve management. Flamingo house sleeps 6 and Pelican house can sleep 8. There is also a campsite with power points, braai stands, lapas, and ablution facilities with hot water. Hartsmeander Tourism is an active and innovative organization that promotes the area as a tourist destination. Apart from several accommodation specials in and around Delareyville, Sannieshof, Ottosdal, Lichtenburg, Setlagoli, they offer guided historical tours on a monthly basis. 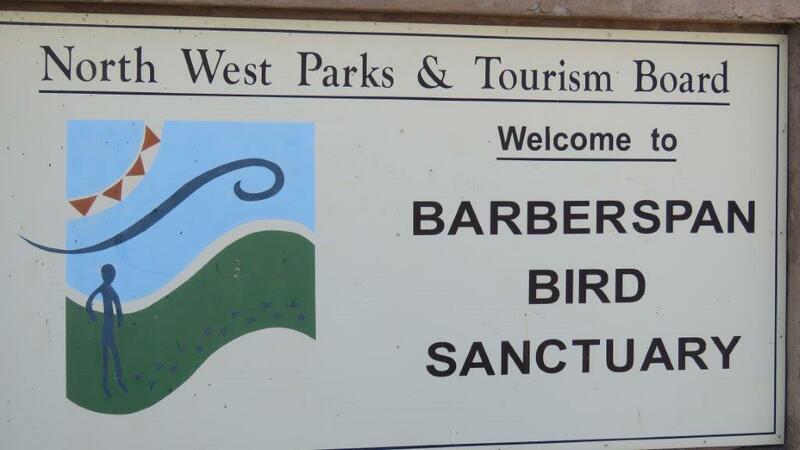 Barberspan Bird Sanctuary is managed by North West Parks & Tourism Board. The reserve manager, Sampie van der Merwe, is passionate about Barberspan and was most helpful to accommodate us and show us around. It is sad to hear that one of his biggest challenges is vandalism of fences, gates, ablutions by the anglers, the very same people who enjoy the luxury of having a place like Barberspan on their doorstep.